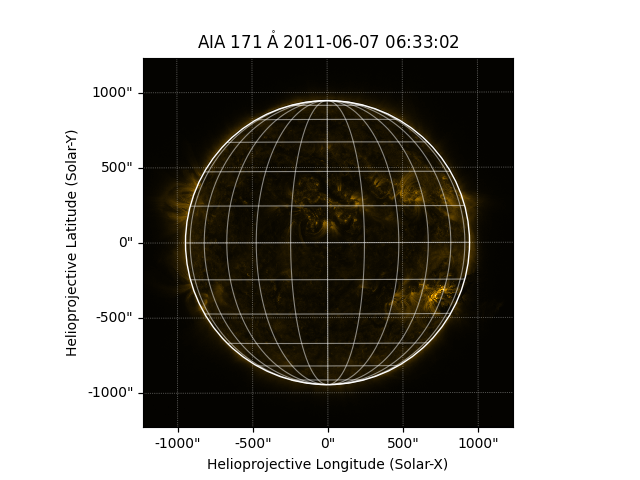 This is a very simple way to plot a sample AIA image. We now create the Map using the sample data. Now we do a quick plot.